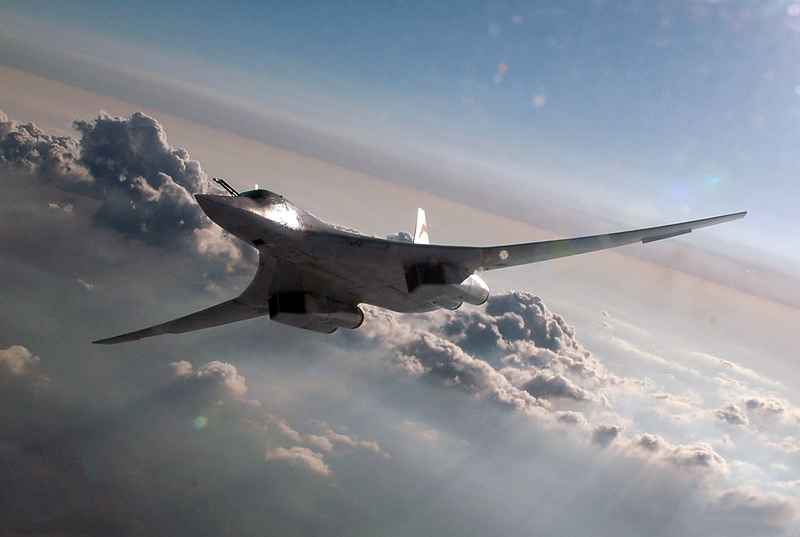 The PAK DA bomber was postponed in favor of resuming the serial production of the Tupolev Tu-160 bomber. The first full-size model of Russia’s future long-range bomber PAK DA, being developed for the Aerospace Force, has been created by the Tupolev company, a source in Russia’s defense-industrial complex told TASS. "Several scale mock-ups of the PAK DA bomber have been made of composite materials. Also, there is a full-size mock-up made of wood. All models are based on the flying wing concept," the source said. A future bomber will incorporate all the latest achievements in the stealth technology, making the plane invisible to radars. Its airframe will be made of radar-absorbent material. All weapons will be placed inside the fuselage. "Also, PAK DA is to be equipped with the latest radio-electronic warfare equipment of domestic manufacture, unparalleled in terms of effectiveness," the source said. Another source in the Russian defense industry said the first test sample of a future bomber will perform its first flight by 2025. The plane will have a subsonic speed. TASS has no official confirmation of these data. Deputy Defense Minister Yuri Borisov said earlier the PAK DA bomber may be presented to the public at large in 2018. Its parameters will exceed by far those of the existing bombers. The original plan was the first bombers would be delivered in 2023-2025, while the test flights were to be carried out in 2019-2020. Later, it was announced that the bomber’s creation was postponed in favor of resuming the serial production of the Tupolev Tu-160 bomber.